The Boston Pride player suffered a severe spinal injury while playing at Gillette Stadium. By Kyle Scott Clauss·	 1/19/2016, 2:51 p.m. 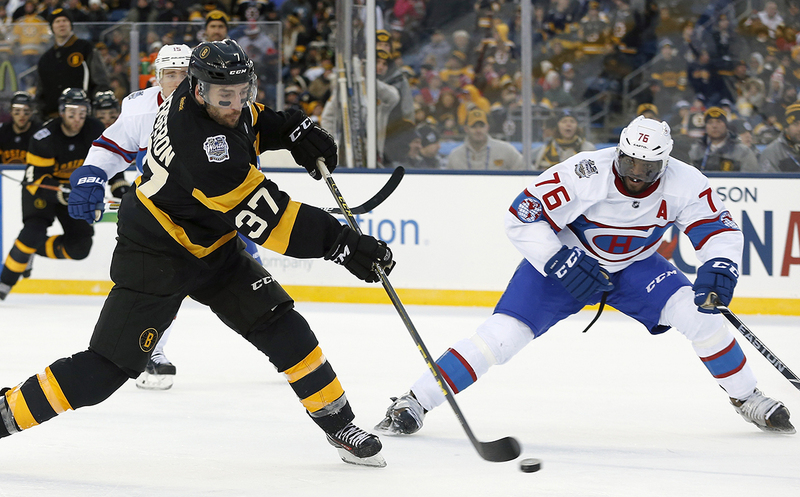 The Bruins will look to avenge their embarrassing Winter Classic loss to the Montreal Canadiens tonight, with both teams donning the same gorgeous uniforms they wore for the New Year’s Day tilt. This time, it’s for a great cause. The NHL announced Tuesday that both Original Six rivals will autograph and auction their game-worn jerseys from tonight’s game at the Bell Centre in Montreal, will all proceeds benefiting Boston Pride forward Denna Laing’s recovery and rehabilitation. The 24-year-old Marblehead native and Princeton alum suffered a severe spinal injury during the Outdoor Women’s Classic, part of the New Year’s Day festivities at Gillette Stadium. Bidding begins at 7:05 p.m. The official auction page can be found here.